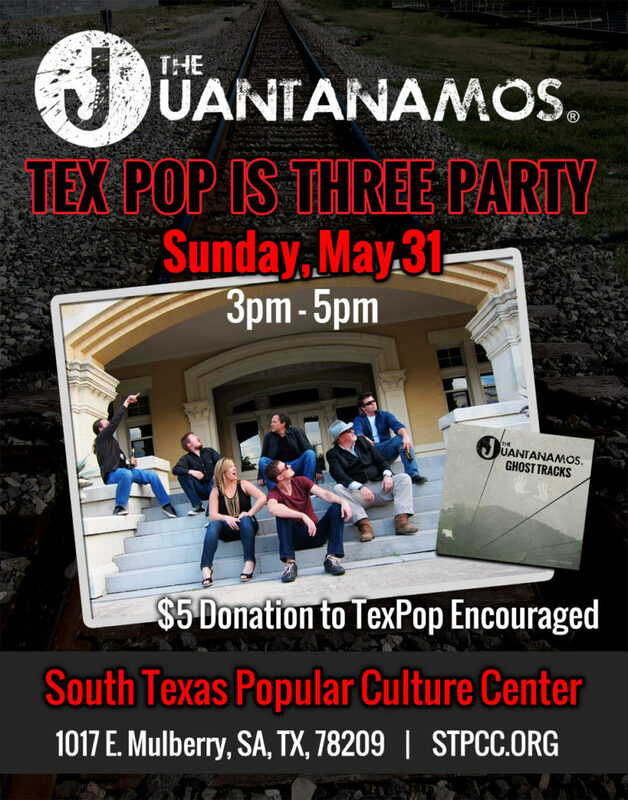 Come celebrate the 3rd Anniversary of the South Texas Popular Culture Center with live rock from The Juantanamos on Sunday, May 31st! We’ll be playing from 3pm to 5pm and doors open at 2pm. A $5 donation to Tex Pop is encouraged at the door. We’ll have Juantanamos t-shirts and frisbees for sale; plus, your chance to pick up our debut album “Ghost Tracks”. You can help preserve our city’s rich musical history, and support its new growth, with some live rock from The Juantanamos. Looking forward to meeting you all there!